The big guns join the Carabao Cup in midweek, with the likes of Manchester City, Manchester United, Tottenham Hotspur and Arsenal all in action. The standout fixture of the third round is without doubt Wednesday’s mouth-watering clash between Liverpool and Chelsea at Anfield. We also have some huge action from around the continent this midweek, making for a cracking few days of football. Spain’s big three, Atletico Madrid, Real Madrid and Barcelona all play in La Liga on Tuesday and Wednesday too. Atleti host Huesca, Barca travel to Leganes and Real make the trip to Sevilla. This action-packed week of football promises to be an exciting one and we’ve got loads of great betting tips to help you enjoy it even more. It’s the third round of the League Cup, with the big clubs who are involved in European action now joining the competition. Several Premier League sides entered the second round, with the likes of Huddersfield Town, Cardiff City, Newcastle United and Brighton & Hove Albion all being knocked out at the first hurdle. Last season, Pep Guardiola’s Man City beat Arsenal in the final at Wembley Stadium. Who will come out on top in 2019? Jose Mourinho’s Man Utd welcome Frank Lampard and Derby County to Old Trafford for a Carabao Cup fixture on Tuesday night. The Red Devils, who beat the Rams in the FA Cup last term, are the strong favourites to progress to round four. However, can the EFL Championship side cause an upset in Manchester? Mourinho and Lampard know each other very well from their Chelsea days and no doubt will share a drink after the game but can the apprentice get one over on his master? United have struggled for consistency of late, winning just three of their last six league and cup matches. On home turf at the weekend, Mourinho’s men failed to get the better of newly promoted Wolverhampton Wanderers in a 1-1 draw. Derby, meanwhile, picked up an impressive 3-1 home win over a very good Brentford to move into sixth place in the Championship table. Derby will be tough opponents for United, but the Red Devils should get the job done at Old Trafford. The Red Devils last played the Rams in the FA Cup in January. They won 2-0 that day and Man Utd to beat Derby 2-0 again is available at 11/2 with BetVictor. Jurgen Klopp’s Liverpool and Maurizio Sarri’s Chelsea lock horns in a blockbuster EFL Cup match at Anfield on Wednesday night. The Reds, who are the only team left in the Premier League with a 100% winning record, will fancy their chances of making home advantage count in this one. To make a fascinating clash even more interesting, the rivals meet again in the Premier League at the weekend, meaning this clash could take on extra psychological significance. Liverpool have looked the real deal at the start of this season, winning six out of six in the Premier League to sit pretty at the top of the table. 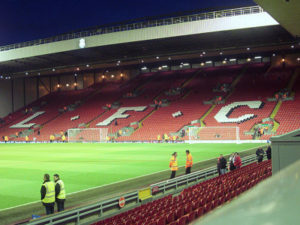 The Merseysiders also beat Paris-Saint Germain in their opening UEFA Champions League matchup. Chelsea dropped points for the first time under Sarri last weekend, drawing 0-0 with West Ham United at the London Stadium. However, 16 points from a possible 18 is a good start and certainly better than many Chelsea fans would have expected. Both managers are very likely to chop and change their starting lineups for this one with at least one eye on the more important weekend fixture. However, none the less, there will certainly be an abundance of talent in both camps. This should be an entertaining fixture, so back Liverpool to win and both teams to score (5/2 at bet365) at Anfield. Tottenham and Watford meet in another all-Premier League Carabao Cup tie at Stadium MK on Wednesday night. Spurs will be out for revenge after the Hornets beat the Lilywhites 2-1 in a league fixture at Vicarage Road earlier in the month. Mauricio Pochettino’s men are the clear favourites in this one, even if they are playing in yet another different “home” stadium. Having lost three in a row, Tottenham needed that 2-1 win at Brighton on Saturday, with Spurs moving into fifth on 12 points. The Hornets, meanwhile, have been one of the surprise packages in the Premier League so far, sitting in fourth place on 13 points. After losing at home to Man Utd, Watford picked up a handy point at Craven Cottage last time out in a game where they possibly deserved all three. Tottenham will be hoping to build on Saturday’s win over Brighton, and we can see them claiming a victory in the EFL Cup in midweek. Coral are offering 21/20 for Spurs to win -1 in Milton Keynes and that’s good value given their greater strength in depth. Spain’s top flight is already hotting up, with Barcelona and Real Madrid joint level at the summit on 13 points each. Atleti have made a slow start, winning just two of their opening five La Liga games to sit fifth, already five points behind the top two. Diego Simeone’s men will be looking for a home win against Huesca on Tuesday while Barca and Real face away trips on Wednesday. Simeone’s Atleti entertain Leo Franco’s Huesca at the Wanda Metropolitano on Tuesday night. Los Colchoneros could do with another win after picking up just eight points so far but they can close the gap to the top two here. Having gone two La Liga games without a win, Atletico secured an important victory at Getafe at the weekend, with an own goal and a strike by Thomas Lemar sealing a 2-0 win. Huesca, who were promoted from the Segunda Division last term, have lost their last three in La Liga and may find themselves a little out of their depth here. This should be an easy three points for Los Rojiblancos on Tuesday as they look to climb up the table. Put some money on the hosts to be winning at half time and full time at 20/23 with Ladbrokes. Ernesto Valverde’s Barcelona make the trip to the Estadio Municipal de Butarque to play Mauricio Pellegrino’s Leganes on Wednesday. After dropping two points at home to Girona last time out, Blaugrana will be hoping to return to winning ways in midweek, knowing in La Liga they can afford few slips against the supposedly lesser teams. Before drawing 2-2 at the Camp Nou with Girona on Sunday, Barca had kicked off their season with six victories across all competitions. Valverde’s men remain top of La Liga on goal difference. Leganes are bottom having picked up just one point from their opening five fixtures so this should be a relatively comfortable assignment for the Catalan club. Barcelona should stroll to all three points with a big win on Wednesday. Check out Betfair’s strong price of 15/8 for the away side to win -2 in Leganes, good value in a game we think they will boss from start to finish. The eye-catching matchup in La Liga in midweek is the intriguing game between Pablo Machin’s Sevilla and Julen Lopetegui’s Real Madrid at the Ramon Sanchez Pizjuan on Wednesday night. Sevilla have been very busy at the start of this season, playing a staggering 13 games in all competitions already. In La Liga, however, Los Rojiblancos have picked up just two wins from five games. Real have looked strong under Lopetegui up until now, with four wins and a draw to their name in the league, proving there may indeed be life after Cristiano Ronaldo and Zinedine Zidane after all. Fixtures between these two clubs are usually fascinating affairs and often packed with goals: there were 10 goals scored in the two league matches last term. We fancy Real to seal an important win on Wednesday, with Betfred’s 7/4 for the visitors to win and both teams to score standing out.